WEST PALM BEACH, Fla. — Altronics, Inc., a longtime partner of the International Hot Rod Association (IHRA), is a leading developer of innovative products for the racing and performance industry based in Schaumburg, Illinois. Established in 1993, Altronics, Inc. is recognized for developing and patenting the first solid-state weather station, the PerformAIRE. The PerformAIRE is the most accurate weather monitoring and performance-predicting computer on the market. The PerformAIRE PRO trailer-based system features the latest in weather sensing and data transmitting technology. It holds the highest weather monitoring accuracy and uses a patented algorithm to accurately predict the performance of internal combustion engines. This proven product line has established Altronics as a reputable producer of innovation products for the high-performance industry. 25 years of experience, Altronics has grown from producing a full line of PerformAIRE systems, to multiple types of data-recording systems, ultra-lite weight lithium batteries, touch-screen vehicle control systems, electronic transmission shifters, and racing software applications. The latest products include a line of PowerLite lithium batteries. These ultra-powerful and lite weight batteries are offered in both 12 and 16 volts and weights from 6 to 10 lbs. They are available in a range of power capacities to meet any applications requirements from bracket racing to high compression / large cubic inch displacements. Altronics has also recently released the PowerQuest Touch Screen Switch Panels that is a complete stand-alone system which replaces primitive “rocker” switches to control all power distribution requirements. PowerQuest’s solid state design incorporates programmable digital fusing and automatic time delayed sequencing so that the press of one button can operate multiple functions. Altronics produces all products in-house utilizing state-of-the-art electronic design and CNC machining systems. Tech support on their products is provided seven days a week, so the racer can get help when they need it most! 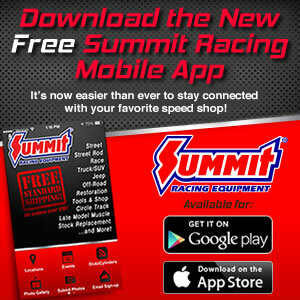 IHRA racers who use Altronics products such as the Data Recorder Data Quest, O2 Alert Data Recorder, RED ALERT, and Weather Station PerformAIRE can claim contingency payouts during Summit Sportsman Spectacular and Summit Team Finals events. For more information call 847-923-0002 or visit online at AltronicsInc.com.